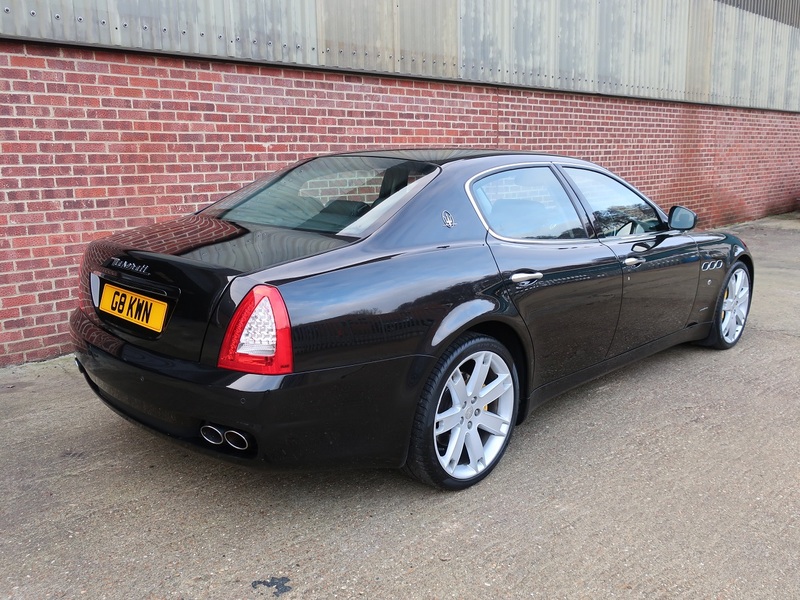 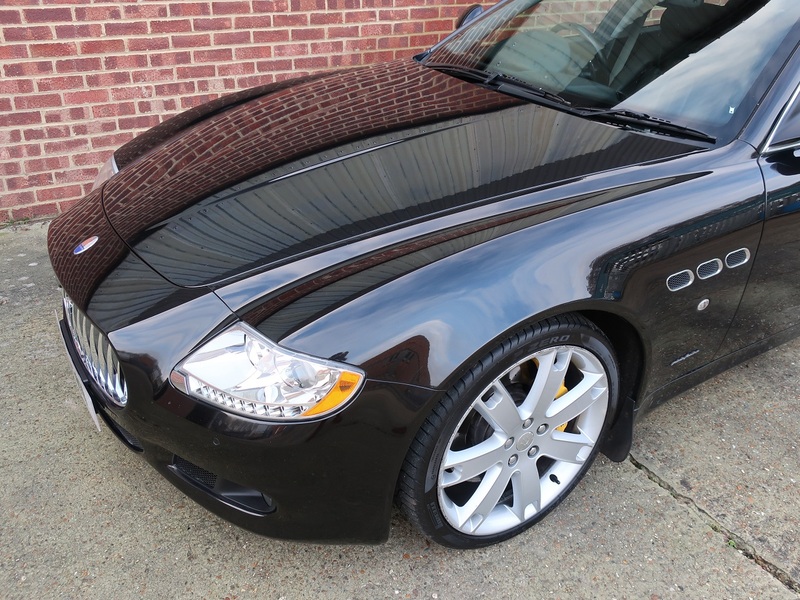 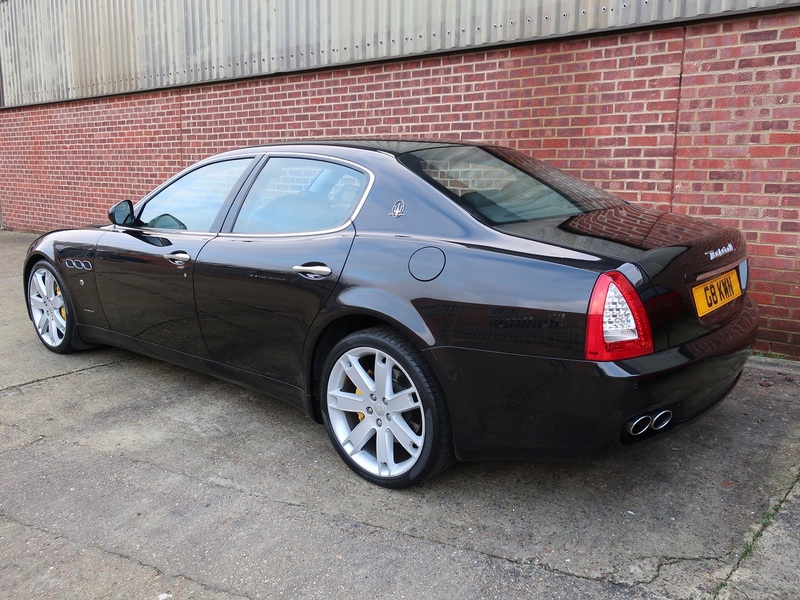 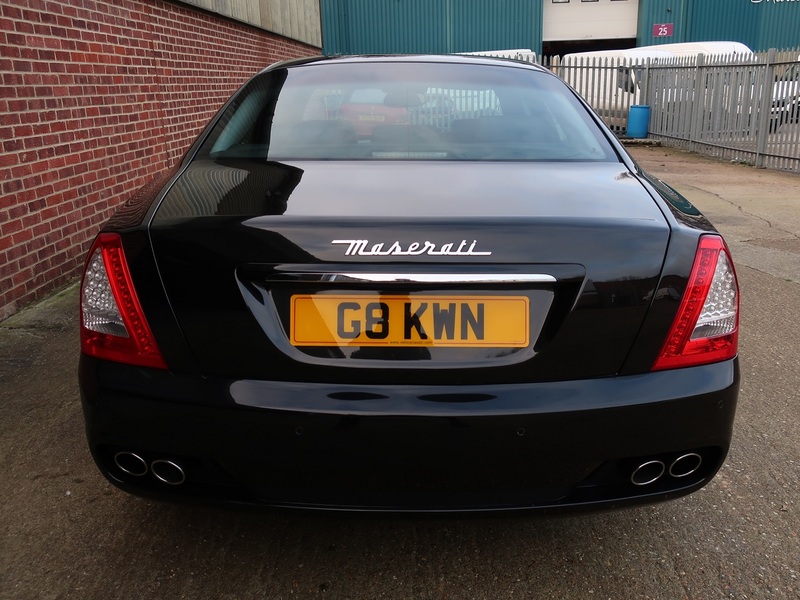 Registered new on the 19th November 2008 this Maserati Quattroporte S was offered by Maserati Dealer Gray Paul and delivered new to its first owner Mr Thurston of Hampstead Heath. 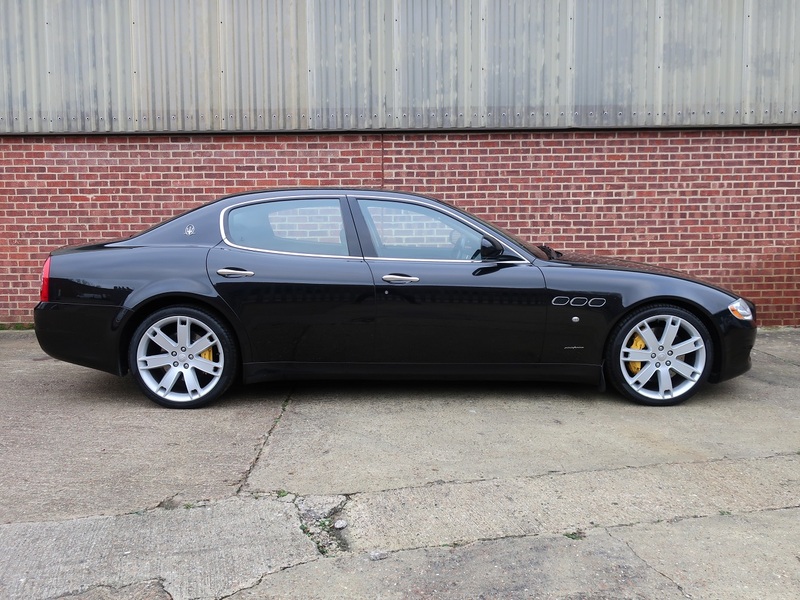 The Quattroporte S is powered by a wet-sump 4.7-litre V8 engine and an uprated braking system which included cross-drilled discs on both axles and dual-cast 360 mm rotors with six piston callipers at the front. 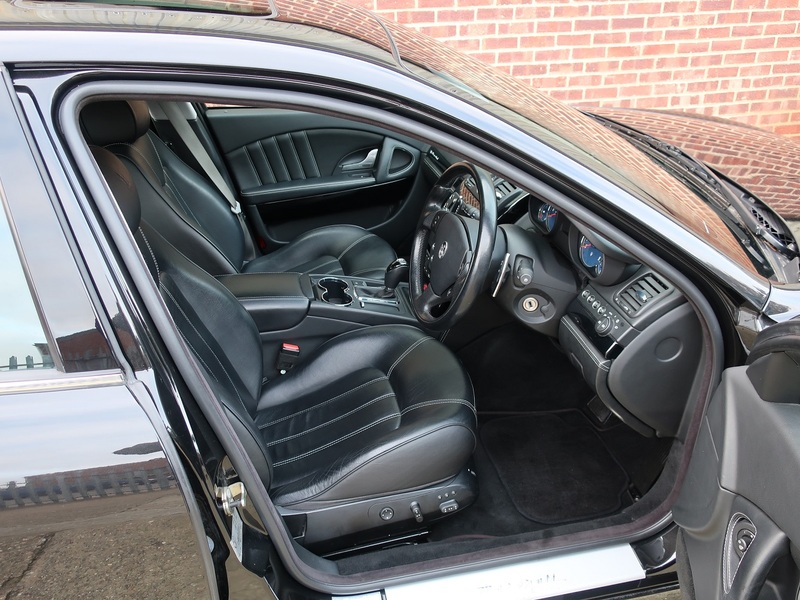 It comes complete with leather wallet, all original booklets and the original tool roll. 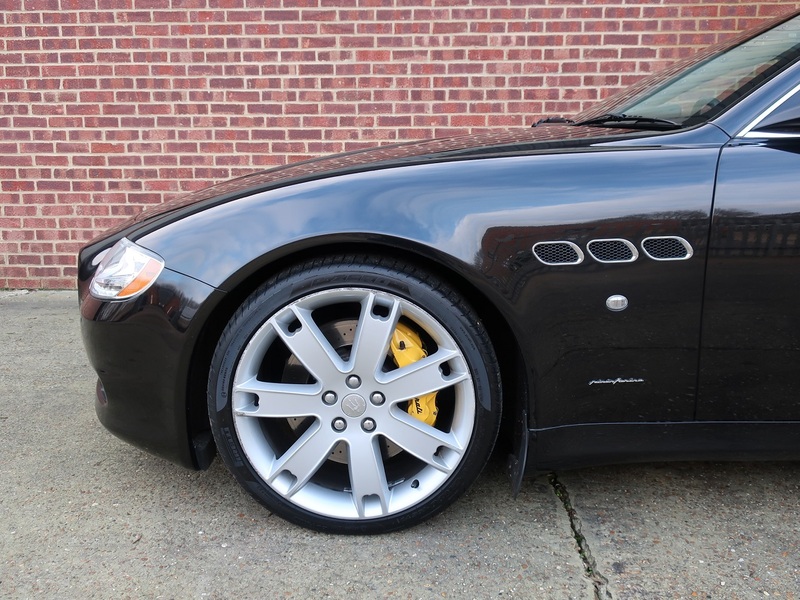 The service booklet shows records from Maserati specialists such as Gray Paul Maserati and Auto Shield Ltd, with the last annual service undertaken on the 17th September 2018. 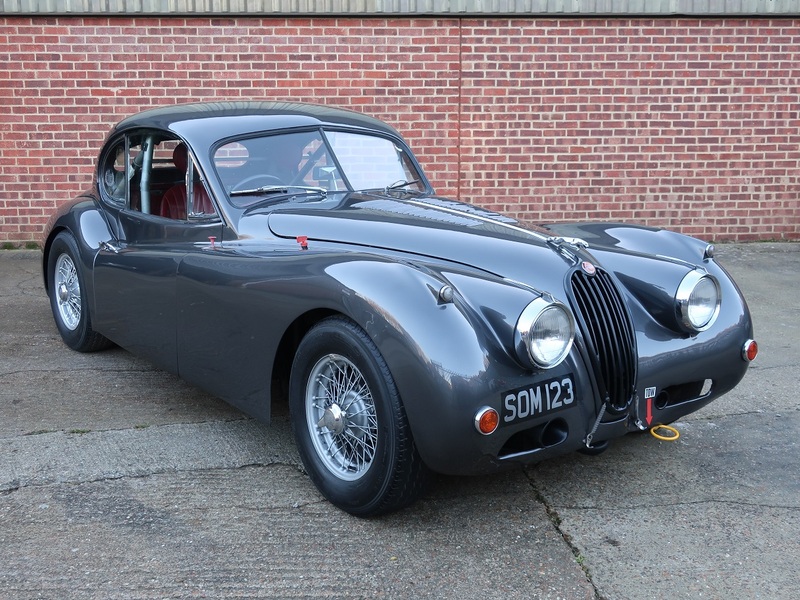 Maintenance work was also completed at this time including new anti-roll bar links to the front as well as a suspension and brake system report showing both systems to be in good order. 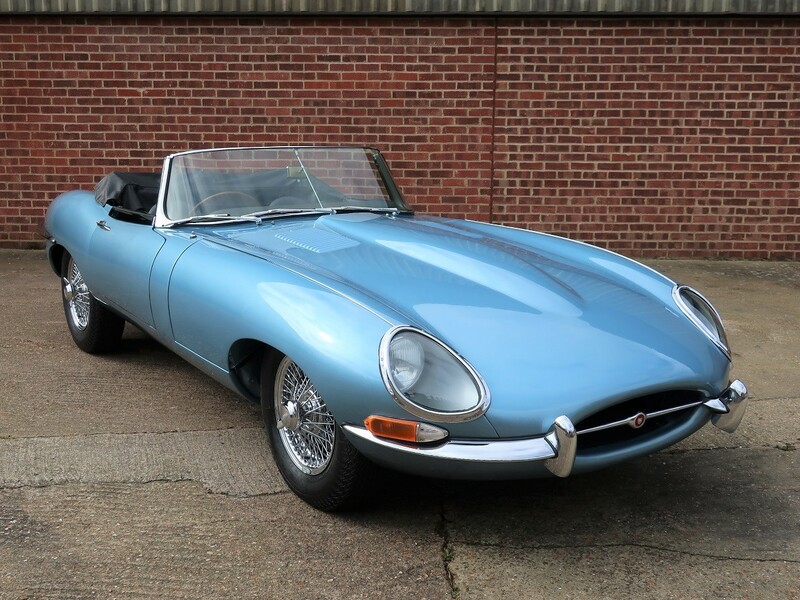 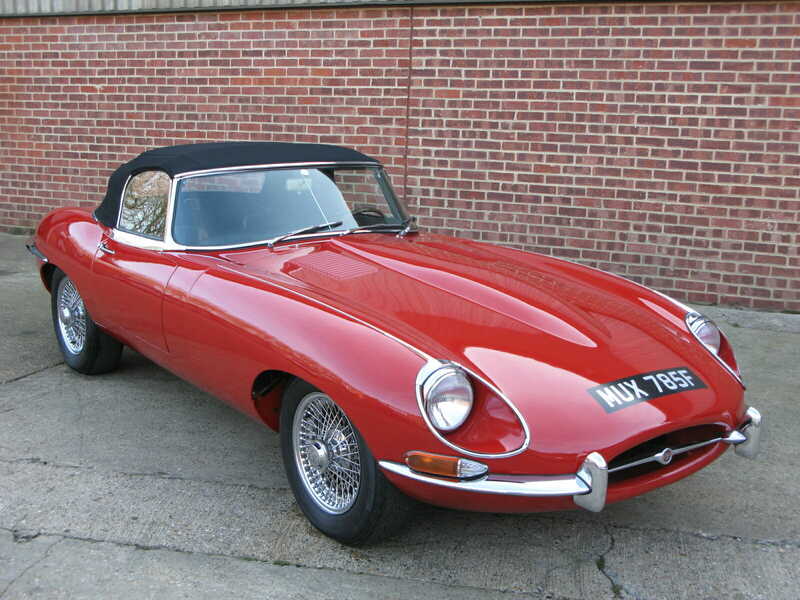 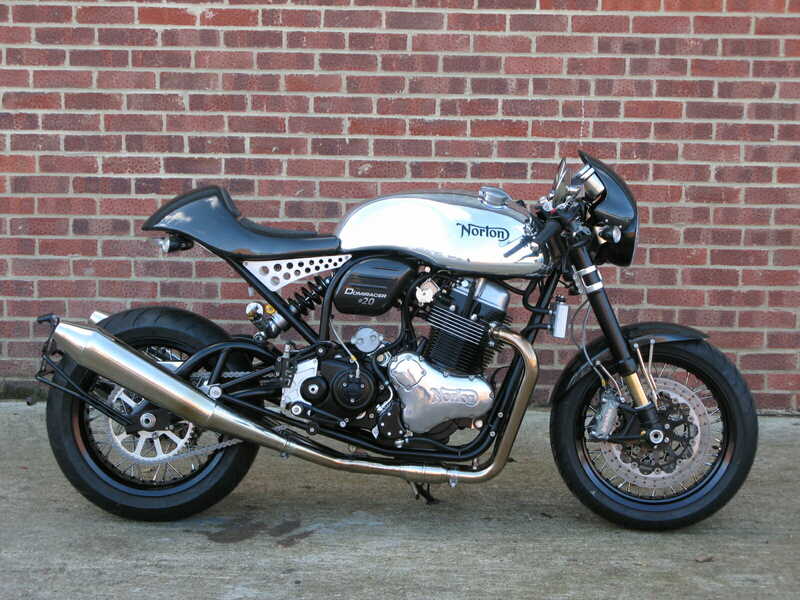 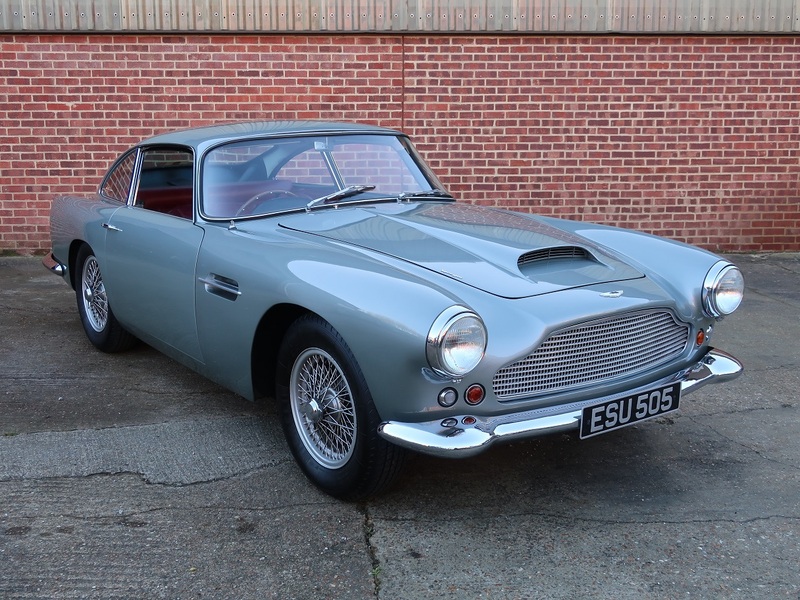 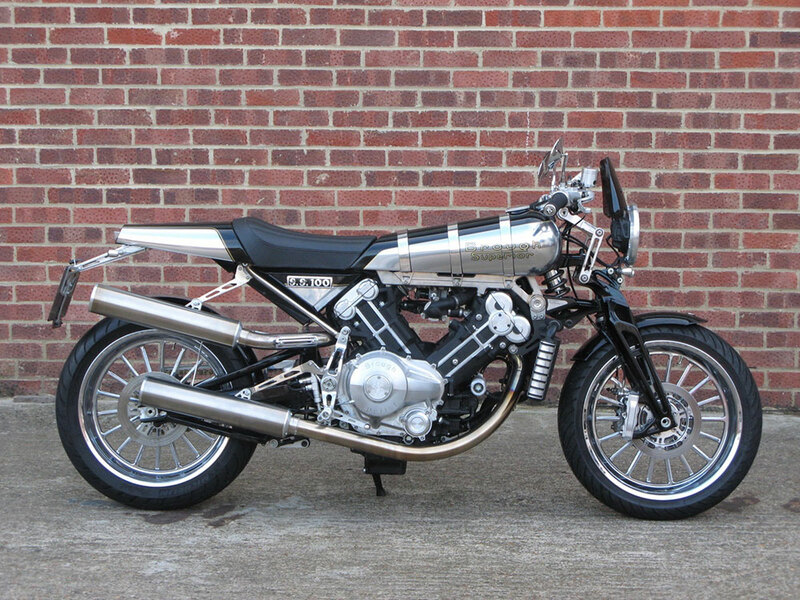 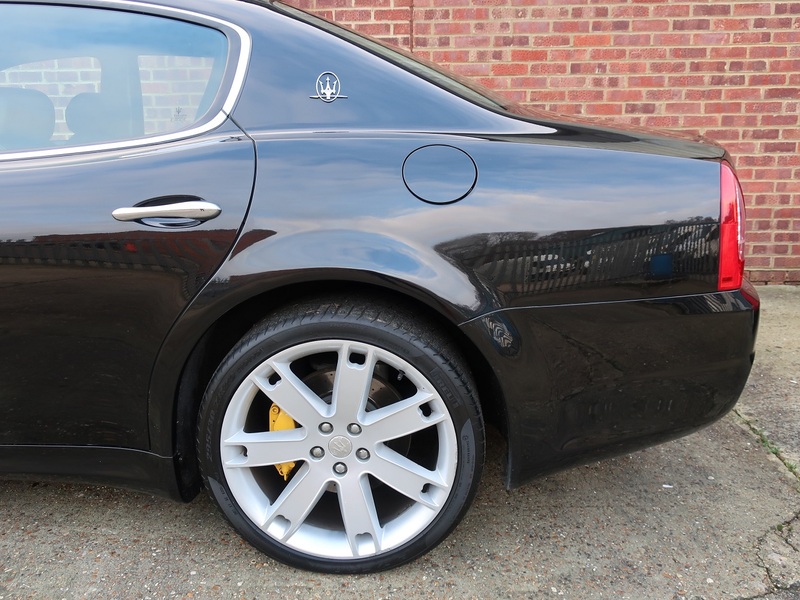 Presented in fine condition throughout the paintwork is very good showing very few signs of age as are the 19-inch V spoke alloy wheels and Pirelli P Zero tyres. 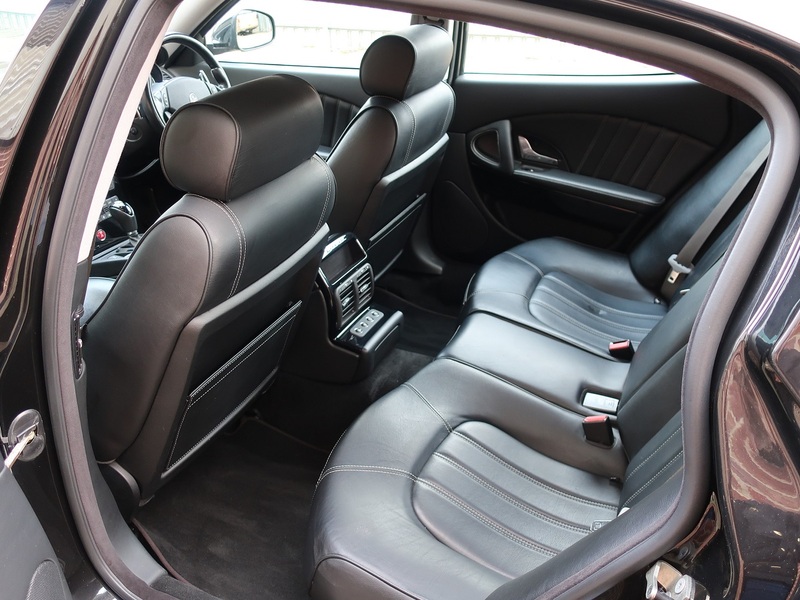 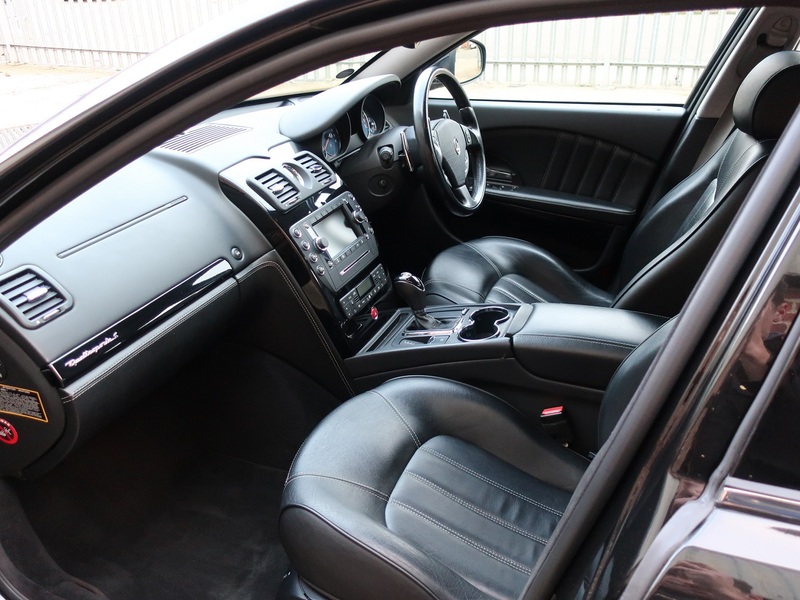 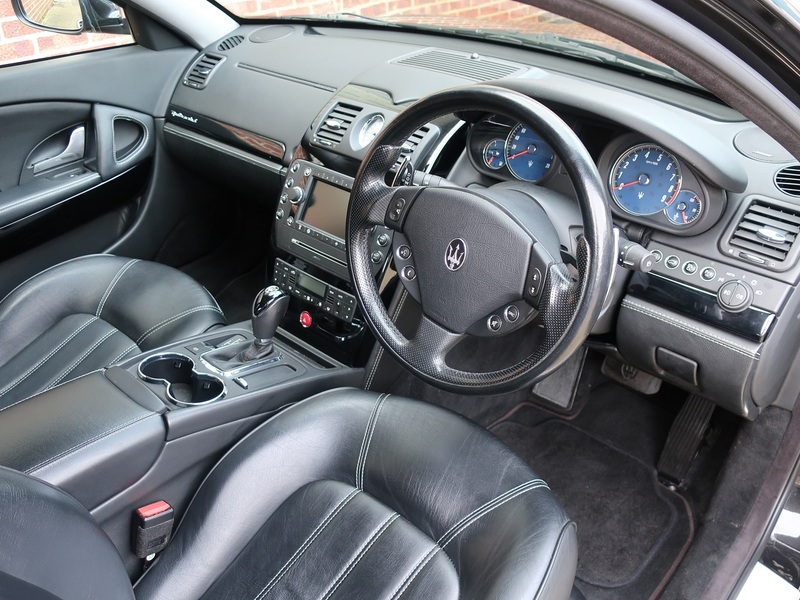 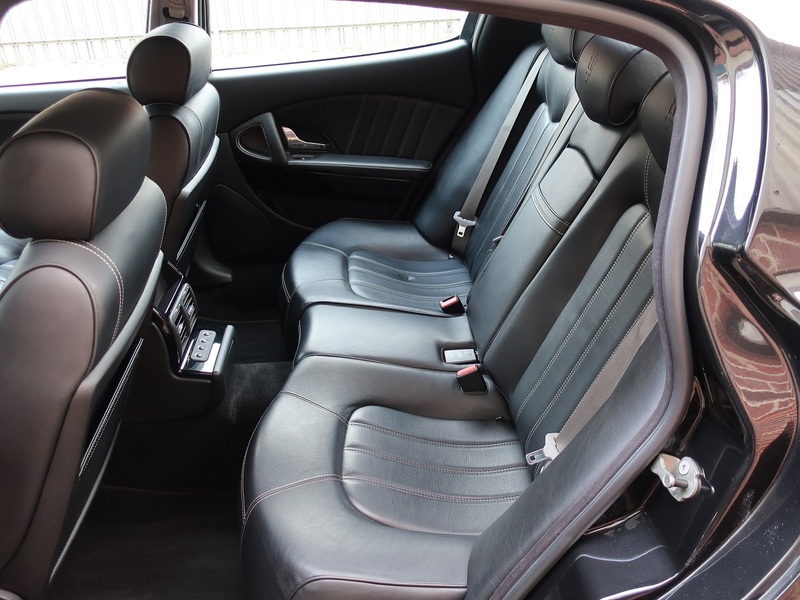 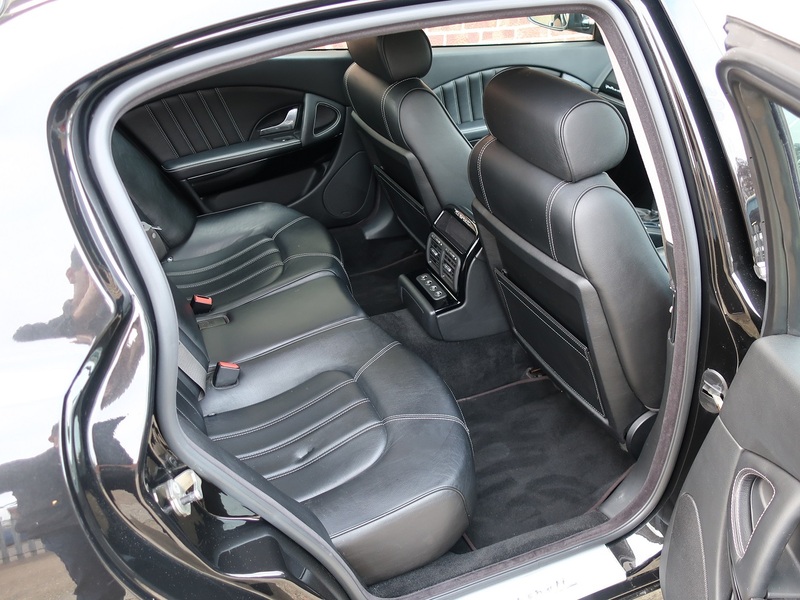 The interior and leather seats are largely in good condition with just a few minor blemishes to show. 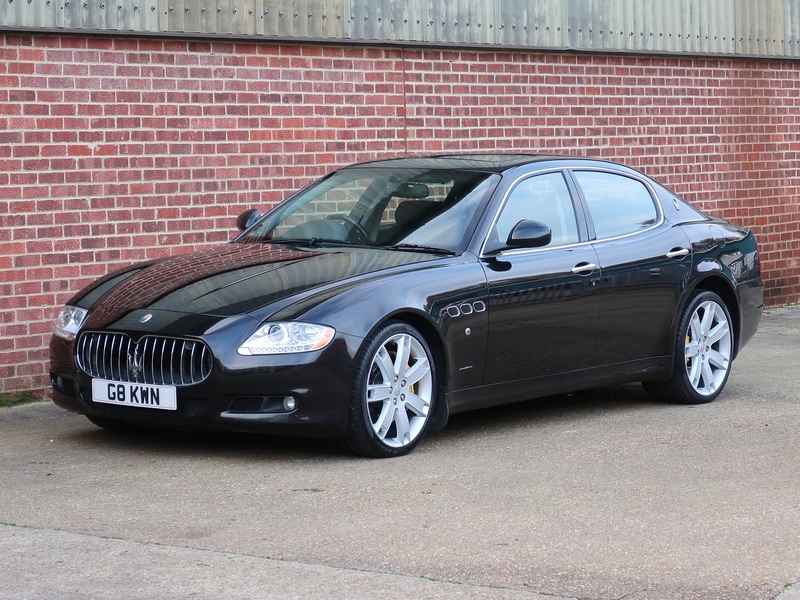 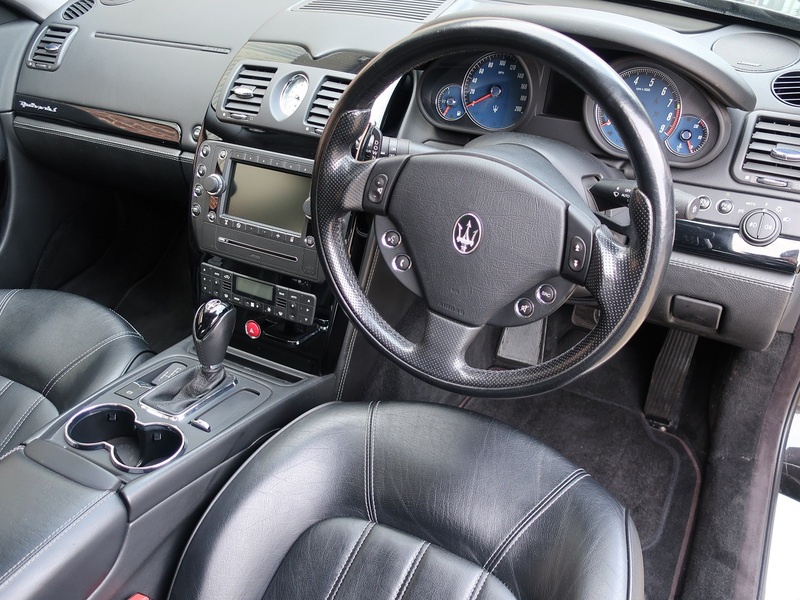 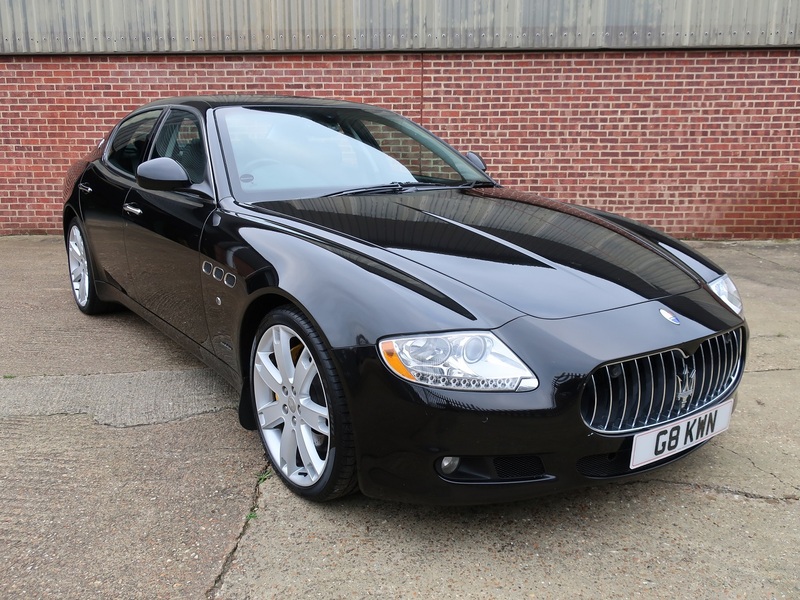 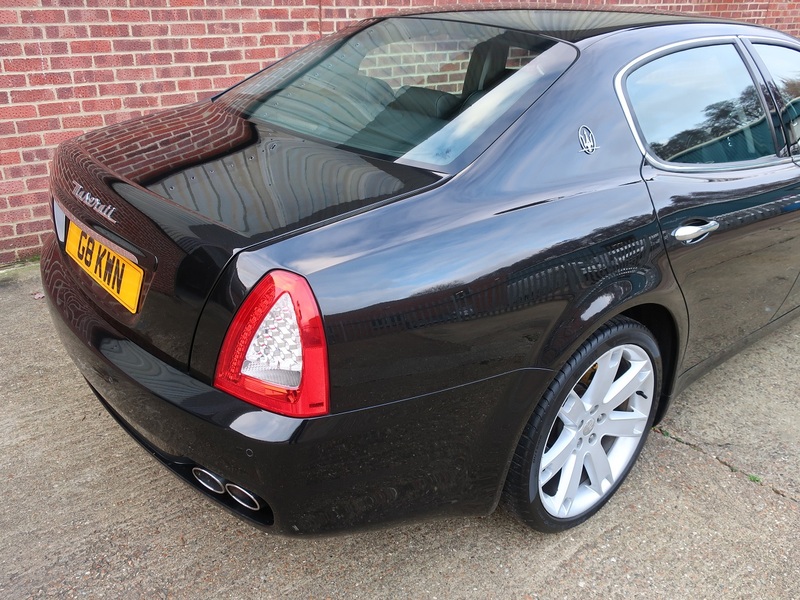 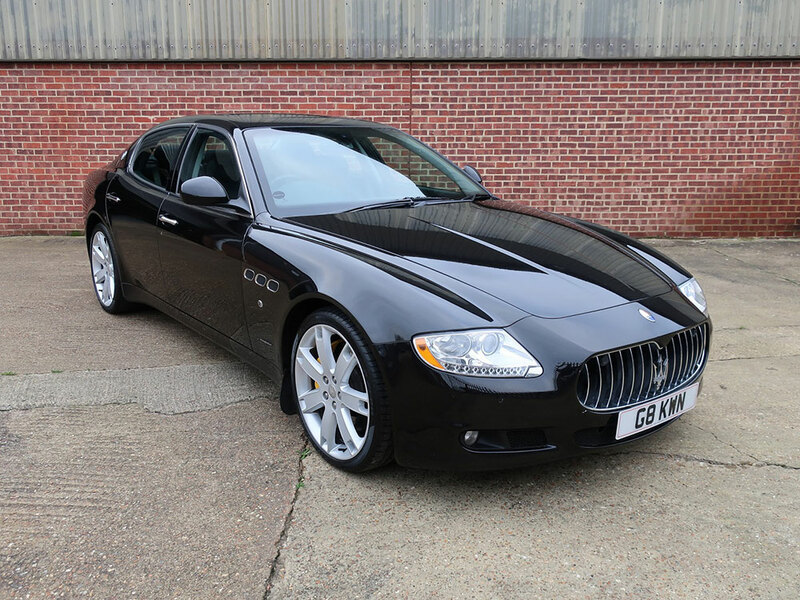 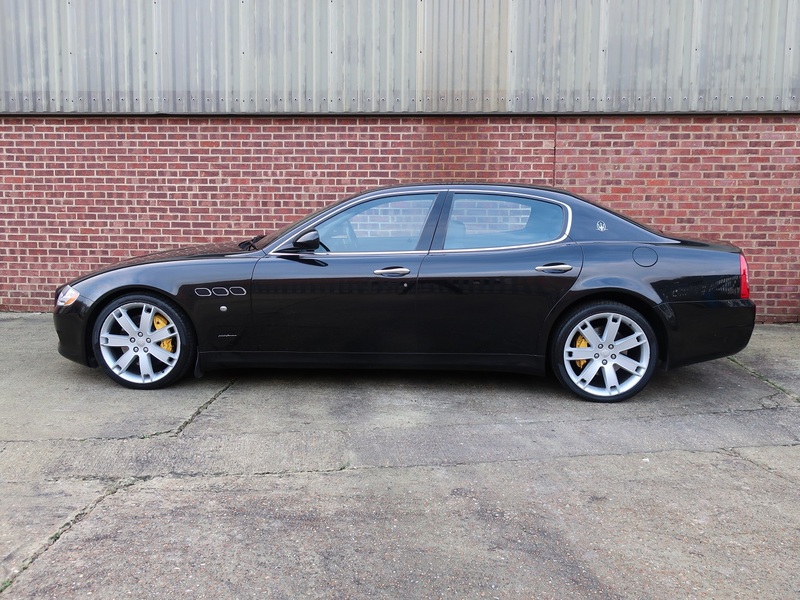 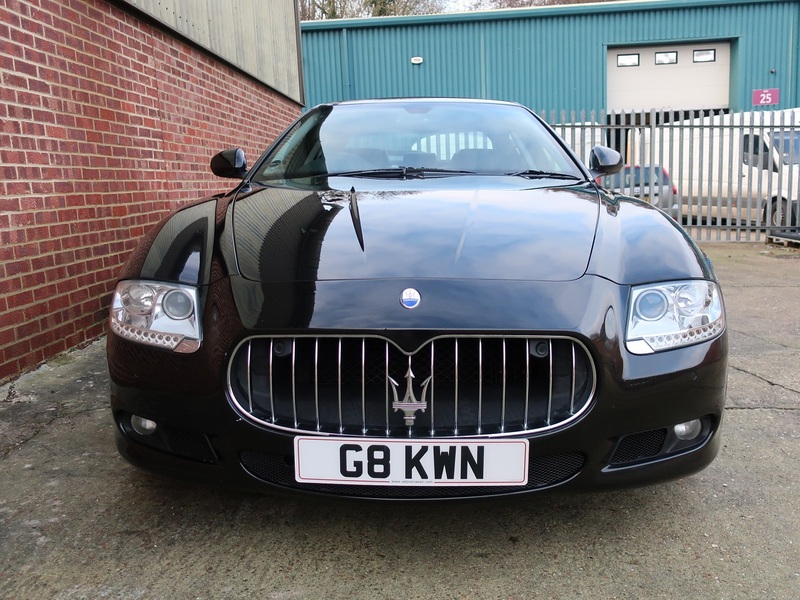 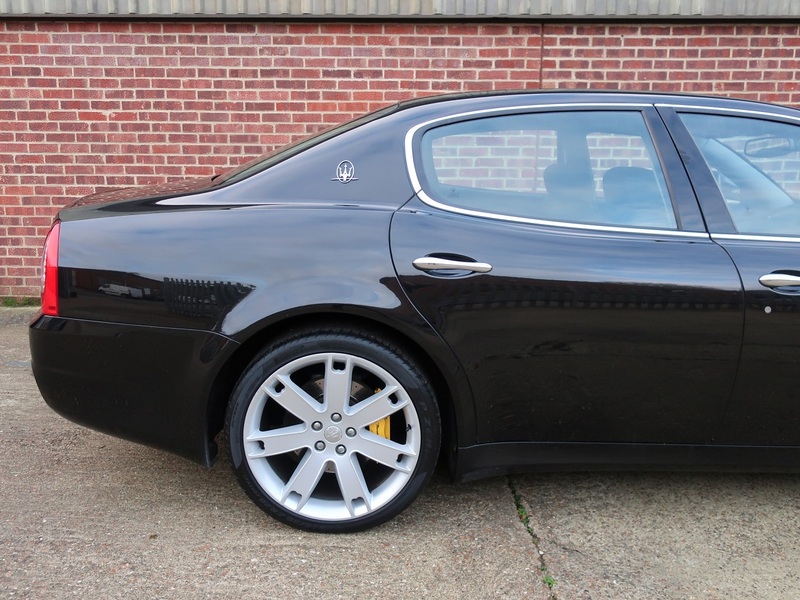 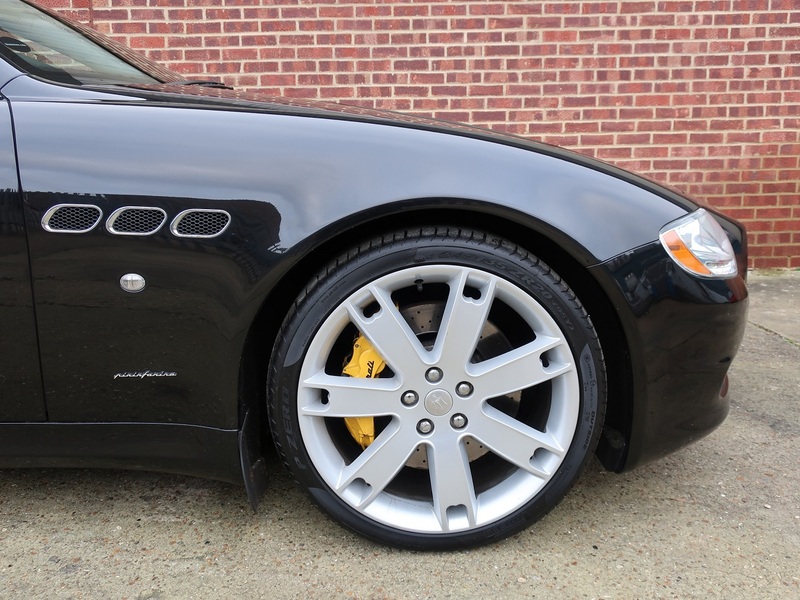 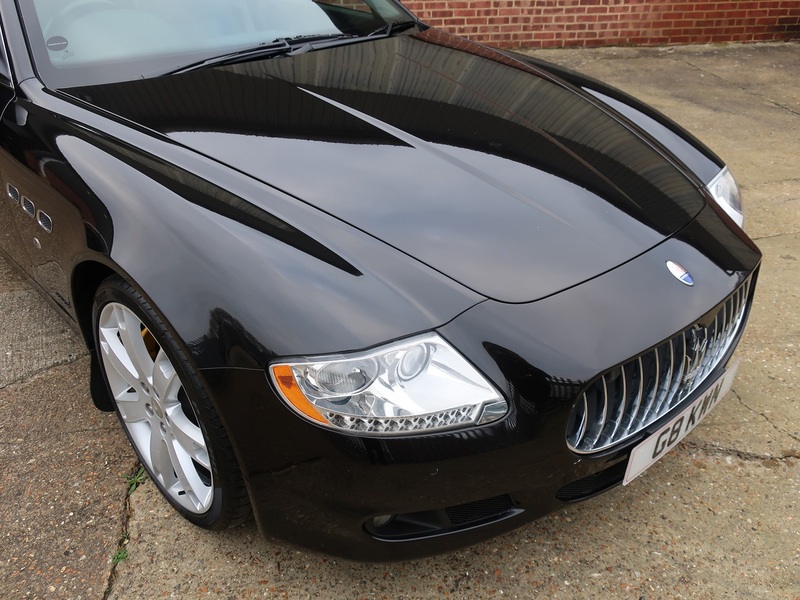 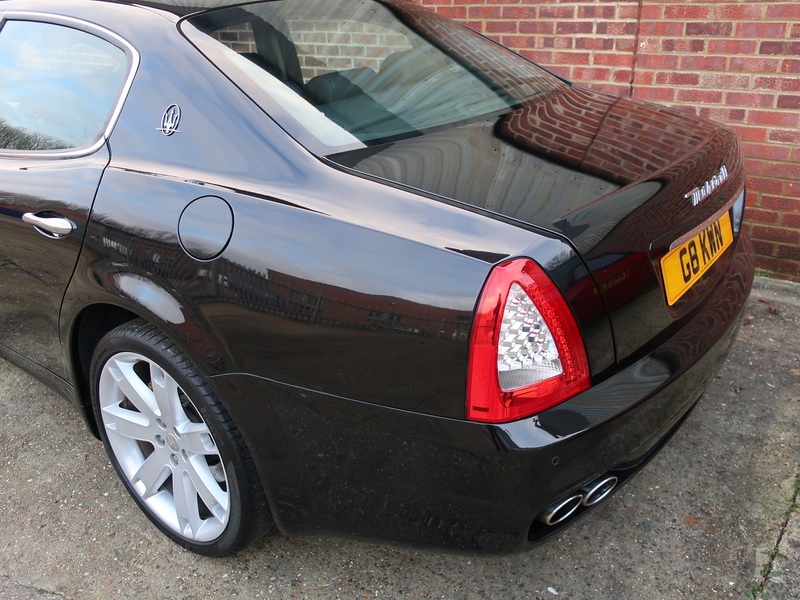 A genuine low mileage example with just 80,553 miles on the odometer this Maserati drives superbly and is very quick.